Insomnia is a common sleep complaint in which a person regularly struggles to maintain sleep or find it hard to initiate sleep. According to the studies, insomnia is the commonest sleep disorder and a large number of people suffers from this condition. Insomnia can be a result of medical and psychiatric conditions and stress, anxiety and depression are the most common cause of this disorder. Most of the people who have insomnia are also reported to be suffering from physical illness such as heart disease, respiratory disorders, and arthritis. Insomnia is considered to be a chronic condition when the symptoms occur at least three nights a week for a month or longer. Daytime sleepiness, tiredness, irritability, problems with concentrations are some other symptoms of insomnia. Also, women are two times more likely to suffer from insomnia as compared to men. Obstructive Sleep Apnea - It is the more common of the two. It is characterized as a condition of partial or complete blockage of the airways during sleep. Under this condition, the chest muscles and the diaphragm work harder. Also, it reduces the flow of oxygen to vital organs. Central Sleep Apnea - In this type of sleep apnea, the airways are not blocked but it is associated with the failed functioning of the brain. Brain fails to signal the muscles to breathe. Sleepwalking - It occurs when a person gets out of bed and walk around even when a person is still asleep. Sleepwalking can be calm or agitated with varying degrees of complexity and duration. This disorder can occur in anyone but it is more frequent in children. Sleep terrors - It is the most disruptive arousal disorder which is characterized by the abrupt awakenings from sleep and is mostly accompanied by loud screaming, crying, and agitation. It is basically a reaction of a frightening image that results in agitation and when they wake up they remember very little about their dream. Bed wetting - It is also known as sleep enuresis and it is a condition in which a person accidentally urinates in bed during the sleep. It can be a case of other health problems as well such as diabetes and urinary tract infection. Narcolepsy is a disorder of excessive daytime sleepiness despite adequate sleep. It is considered a neurological disorder that occurs when the part of the brain that controls sleep fails to function properly or functions abnormally. It is a chronic condition that has symptoms like a hallucination, excessive sleepiness, sudden loss of muscle tone, and sleep paralysis. This condition can cause you to have sudden sleepiness anytime and can make you sleep at an inappropriate time like driving, eating or while at work. Both men and women can get narcolepsy and it can occur at any age but the most diagnosed cases of narcolepsy are observed between the ages of 10 and 30. Restless leg syndrome is a sleep related movement disorder which involves an irresistible urge with unusual sensation to move the legs at night. The exact cause of restless leg syndrome is unknown but studies have shown that the low iron level in the brain could be the cause of this disorder. It can also be triggered by certain health conditions such as kidney failure, diabetes, Parkinson's disease, and peripheral neuropathy. Also, genetics can be a cause of this disorder and if the parents suffer from restless leg syndrome then the risk of suffering from this disorder highly increases. With restless leg syndrome the urge usually affects both the legs but in some people, symptoms can occur in one leg and later it can occur in the other leg. This type of disorder can also affect body parts other than legs such as arms and torso. 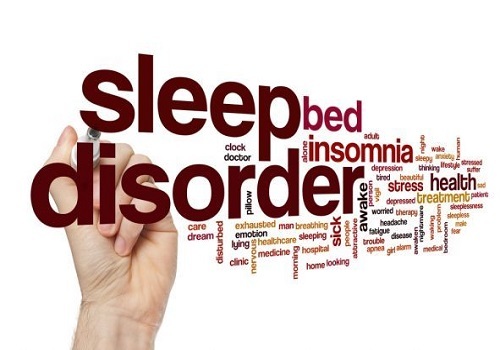 Sleep disorders are common among people but in most cases, people are unaware of their condition. It is essential to know about such health problems and the symptoms associated with them. Share it with your family and friends and create awareness.